I’m a relative newcomer to the freelance writing field, yet in the 27 months I’ve been writing I’ve had 380 articles accepted for publication in over 110 magazines, newspapers, and e-zines. That’s an average of 14 articles each month. I hasten to add these are not 380 different articles—many of my stories have been reprinted several times as I resell them again and again to other magazines. But, to freelancers, the overall total is what counts because a sale is a sale. paychecks for each article, ranging from $100-$600 apiece. Freelancers have to develop a “knack” for dreaming up plenty of story ideas and then targeting them to specialty magazines. You need to evolve a system for doing this. When I pitch a story there’s a 90% chance that an editor somewhere will pick it up—I’ve only had a handful rejected. In freelance writing, these are pretty good odds. 1. Diversify the magazine genres you write for. 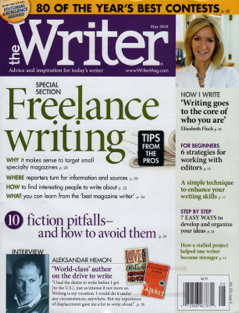 To make a living as a freelance writer (or get published more) you’ll need to write in several different fields. You need to get out of your comfort zone of writing the same old articles for the same old magazines. By diversifying your genres, you exponentially increase your pool of ideas and thus your potential for getting published. 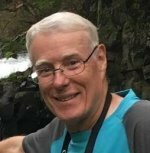 I’ve been published in specialty magazines on travel, military vehicles and aircraft, military history, history, art, communications, health, fitness, running, triathlons, writing, and film festivals. Writing in a variety of genres has the added benefit of keeping you from getting bored with writing solely about one subject. 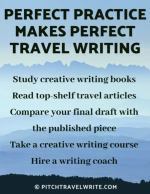 Aim to establish yourself as a writer in at least five areas that fascinate you. And strive to double that number as your writing improves. After you’ve been published a few times you’ll gain confidence and start branching out into other genres. interest you? Do this now, before continuing to read this article. Select only topics that excite you, or your writing will be flat and lifeless. 2. Pitch story ideas by combining your interests and hobbies with travel. Writing about your interests is what keeps freelance writers motivated and in the game. It’s fun sharing your knowledge and experiences about places you’ve enjoyed with other people. Knowing that thousands of people will read my travel articles (and hopefully) want to go to these places is one of the most rewarding things about travel writing. Here’s an example of how I combined my interest in all things military with travel. While living in Belgium I visited the Luxembourg National Military Museum, took some notes and photos, and interviewed the curator. I sold a story about the military vehicles in this museum to two U.K. military vehicle magazines and another in the U.S.A. The total earned from this museum trip was $525. And I’ve done this time after time. From the list you created of your passions, name the places you’ve been where you followed these interests. Was it a vintage car show, an air show, a living history reenactment, a dog show? Now all you need to do is find some specialty magazines on that subject and fire them off a well-written query letter about what you saw when you went there. 3. Combine your knowledge and education to pitch to specialist magazines. Use your education to help you dream up stories to pitch to magazines in your specialty area. I’m an exercise physiologist by trade and teach exercise science at a university in Seattle. I constantly use my education and knowledge to come up with dozens of fitness and exercise-related ideas that have sold to specialist magazines. From my students, for example, I learned that overtraining is a big problem with athletes in all endurance sports, and at all levels from beginner to elite. I wrote a nice article about overtraining and how to prevent it, and sold it to 8 running, triathlon, and fitness magazines in the U.S.A., Scotland, and Australia for a total of $1680. And I’ve done this sort of thing repeatedly. Can you think of any story ideas that are marketable across genres? You’ll be surprised at how many story ideas can be sold in this manner with a little tweaking here and there. 4. Pitch your stories to other specialist magazines outside your field of expertise. With small changes to your story and some creative marketing it’s possible to resell the same article to specialty magazines in other fields. Here’s one of my best examples. Last summer, I wrote an article about how to protect your skin from sun damage. Can you imagine the potential for selling this story across specialist genres? What athletes suffer from skin damage? Runners, triathletes, golfers, kiteboarders, sailors, and tennis players, to name a few. This article showed me the power of selecting topics that can be sold across genres. I sold this particular piece to 10 different specialist sports magazines, making $1530 from one single article. article about a resort on San Juan Island which hosts 85 weddings each year, a kind of wedding Mecca for the Pacific Northwest. After that article was published I wondered who else might be interested in an article about a coastal resort on an island? I pitched it to yachting magazines and 2 of them took the article. Then I pitched it to another regional travel magazine and they bought the piece too. So far I’ve made $1,000 from that one article, and I’m still trying to sell it overseas. . . .
5. Pitch your story to specialty magazines in other countries. Zealand. What surprises me is that more freelance writers don’t do this. 6. Train yourself to constantly be on the lookout for article ideas. As you increase your awareness of your interests, ideas will just pop into your head. Developing this sixth sense where you start looking at things around you as potential story ideas is one of the most valuable skills freelancers can develop. I promise you that you’ll never look at the world in the same way again—potential article ideas will flash through your mind at the speed of light. And don’t let other people tell you that your story ideas will never sell. There are 17,000 magazines and newspapers out there, and specialist magazine editors are screaming out for good, original ideas. 7. Use books from your local bookstore to find ideas for specialty magazines. I spend an inordinate amount of time browsing in my local bookstores. Not just the magazine racks, but in the Pacific Northwest region section. I’ll thumb through the books looking for ideas that I think that editors of Northwest travel/lifestyle magazines might go for. purchased a book called “Ghost Towns of the Pacific Northwest” a year ago. From this book I found story ideas about several intriguing ghost towns in Washington and Oregon. After visiting the towns, taking lots of photographs, and sending out some pitches, I have so far sold three ghost town stories to regional travel/lifestyle magazines. And I’m still reselling these articles today. The return so far of $1,000 from those 3 sales made my $19.95 book investment well worth while, to say the least. I do the same in England every year—researching new stories. I’ve avidly browsed English bookshops: Foyles, Blackwells, Waterstone’s, Borders, the lot. 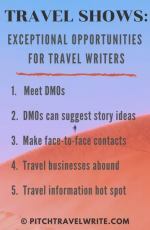 All have extensive regional book sections that I use for ideas to pitch to specialty, regional, and national travel magazines. Incidentally, regional magazines can be rewarding magazines to pitch. Editors of regional magazines by far prefer people in their region to write their articles, because they have local insight and inside knowledge that is impossible for a stranger to pick up. recent copies of a specialty magazine before you pitch it. If it has run a few stories about a particular topic, it will be flooded with pitches for similar ideas, when savvy freelancers should be moving on to find something new to catch the editor’s attention. In addition to using bookstores and libraries, the Internet is also a valuable tool for getting story ideas. Many times I’ve earmarked websites for possible future article ideas as I have been researching another story. When I go back to look at the information I’ll try to look at it in a different or unique way to make it enticing to the editors. magazines, and you will reap the rewards that come with this.